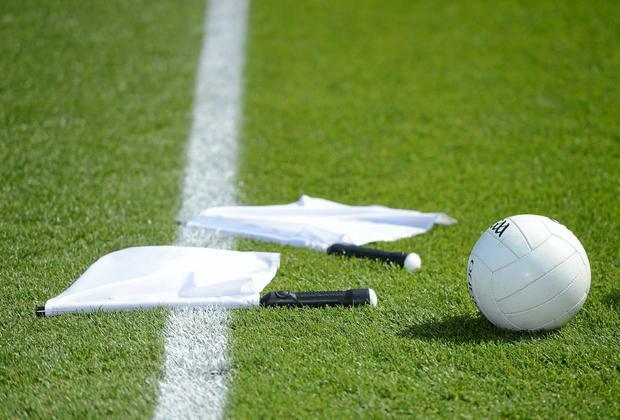 Leitrim, with an eye on Croke Park, wrapped up their league campaign with an emphatic win over Waterford in a low-key game in Carrick-on-Shannon yesterday. Four points without reply from the home side in the opening ten minutes served notice of the their intentions against a Waterford side who were unable to turn possession into scores. Leitrim were rarely troubled throughout the first half. A Ryan O'Rourke goal in the 26th minute helped the home side to a 1-13 to 0-5 lead at the interval. The introduction of JJ Hutchinson to the Waterford attack had an immediate impact as he grabbed two points. But leading 1-16 to 1-7 at the midway stage, Leitrim emptied their bench. A 58th-minute goal by Dylan Guiry was just reward for the Déise, who never stopped trying, with Michael Curry getting a late second. Derry, who had already qualified for next weekend's Allianz Football League Division 4 final against Leitrim, held on to win a seven-goal-thriller at Bellaghy yesterday. They led by nine points at the break, after Benny Heron, Enda Lynn and Ryan Dougan had hit the net, with Ben Brosnan firing home a Wexford goal. At 3-11 to 1-8, they looked comfortable, but they had full-back Conor Mulholland sent off, and the Leinster men hit back with goals from Kevin O'Grady (pen), Barry O'Connor and a second from Brosnan to close the gap to a single point. Dáithí Waters went close to getting a fifth Wexford goal, and the Oak Leafers survived for a narrow success ahead of next Saturday's league final against Leitrim at Croke Park.